The wedding is considered as the most significant and exciting triumph in which the central figure is the bride. Therefore she must choose her wedding dress very carefully. 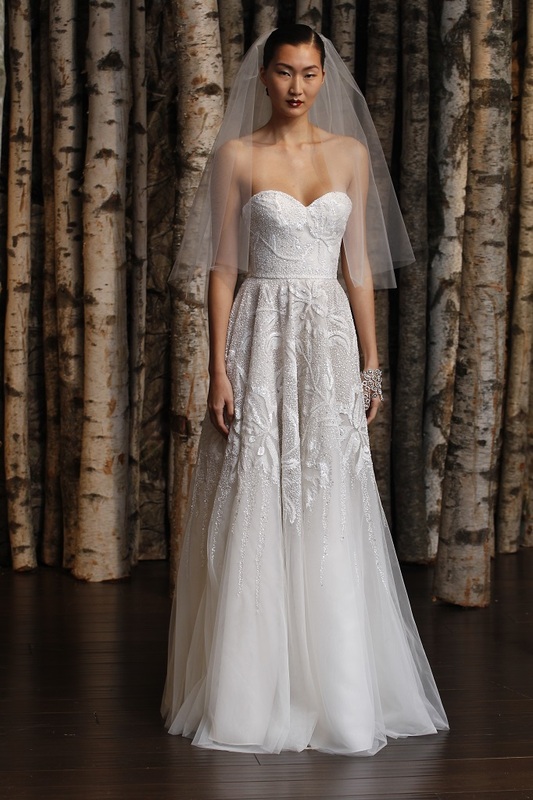 The Indian designer Naeem Khan wants to tell a eastern fairy-tale to all the brides with his Spring 2015 Bridal Collection. 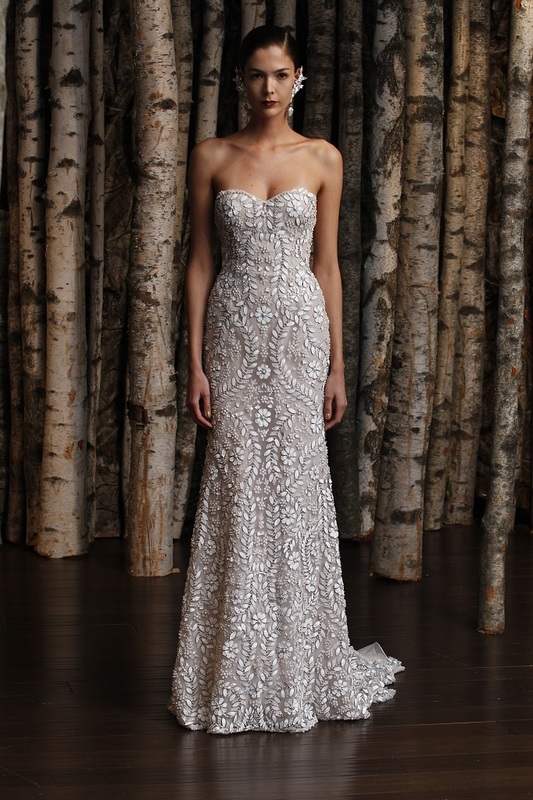 Wedding dresses by Naeem Khan for Spring 2015 are very sophisticated and luxurious. Most of the models are reserved on a cut, so as not to detract from the stunning finishes: intricate embroidery with pearls, rhinestones, sequins and beads, bulk flower applications and lace motifs. However, in the collection you can find a dress in retro style – the designer offered several models in the style of the 20s and 30s, and the seductive form-fitting “Mermaid” with lush tulle “tails”. 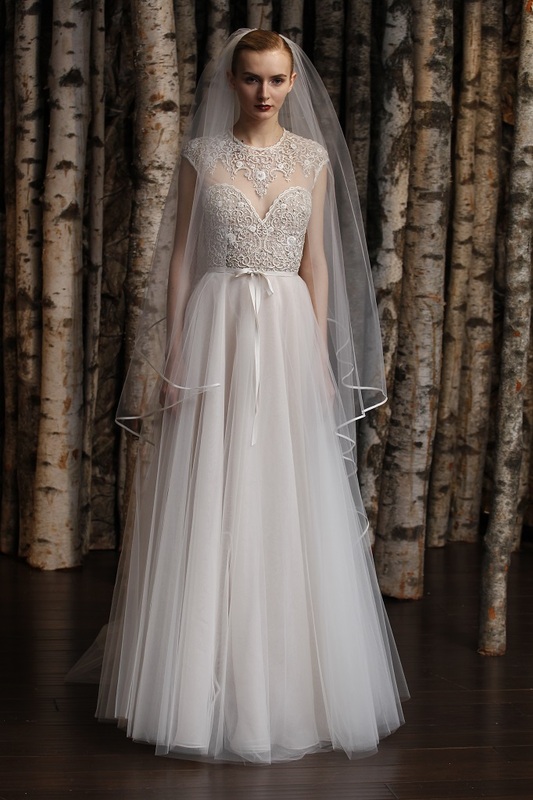 The veil took a special role in Naeem Khan Spring 2015 Bridal Collection. Along with the traditional multi-layered veils in the collection has a real Eastern Cape. Look at the gorgeous wedding dresses below and enjoy! I hope that here you will find the wedding dress of you dreams. Why you should use lamps in wedding decoration?